Three Dogs / Retail Design was appointed by SmarTone-Vodafone to work on the design development a new retail experience, seeking a departure from the existing operational model consisting of a counter with staff seated opposite customers. The client realized that sticking to this generic operational model limited their options in offering a distinctive service standard and retail experience to customers. In response to this, Three Dogs proposed a design process that could explore innovations in the mobile phone retail formats. Three Dogs carried out a study of existing retail operations and flow. The analysis leads to the formulation of several new layout options and display formats. These assumptions were tested in several simulations. After evaluation, adjustments were made and tested again, ultimately leading to the concept of product walls and display islands at the front of the store, service stations at the rear and a cashier near the entrance. With the new operational model defined, Three Dogs moved ahead designing a visual style and functionality for the various furniture components: a modular product wall display system, cashwrap and service stations. Approved design concepts were built as prototypes and tested by staff to further refine dimensions, detailing and ergonomics to ensure maximum comfort, functionality, integration of electronic equipment and durability. The design was subsequently rolled out in all stores. 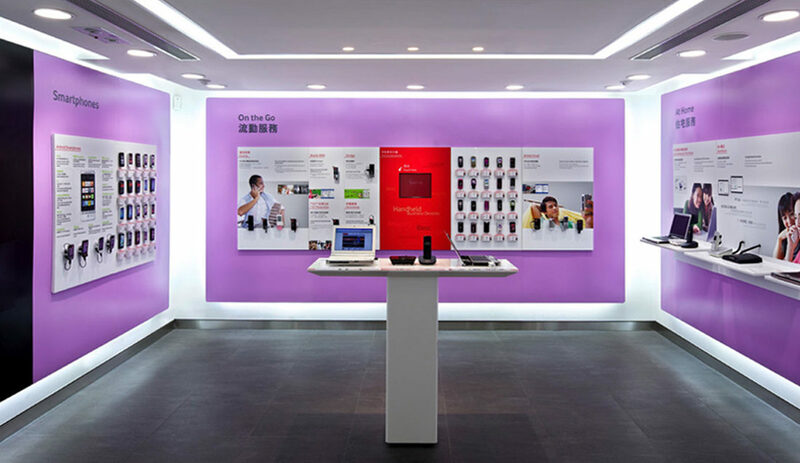 SmarTone-Vodafone has become the benchmark of Hong Kong mobile phone retail interiors. Other operators have copied many of the stores’ innovations and design solutions. 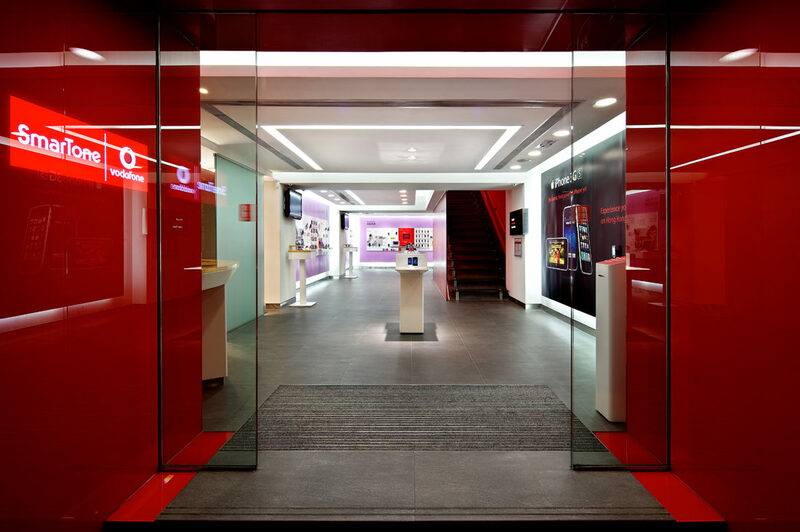 Smartone-Vodafone’s same-store traffic increased dramatically after renovation and the design provided many benefits including the ability to change the appearance of the store overnight to keep up with product developments.